What is Recreation Management Software? Parks and rec software integrates all your complex and demanding community activity management functions into one easy-to-use program. Picture your daily repetitive routine of managing activities and memberships, as well as keeping up with instructors, sports leagues, ticketing, facilities, and point-of-sale transactions, not to mention tending to both employee and citizen concerns. Overwhelming yourself by manually managing these recurring tasks isn’t the only option. If you haven’t heard of it before, let us introduce recreation management software—the more powerful and flexible option. We know what’s coming next. You’re going to ask, “What exactly is recreation management software?” Let us break it down for you. Parks and rec software integrates all your complex and demanding community activity management functions into one easy-to-use program. These software programs are made up of comprehensive modules equipped with a plethora of features to cover any and every recreational need. In addition, parks and rec software with an integrated volunteer management component allows you to create new volunteer events, assign roles, allow them to check in and out, track their hours, and run reports based on activity or user, is just one of many features that recreation software can provide. Other features like ticketing, a streamlined citizen dashboard, managing instructors, engaging digitally with citizens, built-in marketing, and an intuitive calendar are also possible with only a few customizable modules. Activity registration modules are customized to fit right into the design of your organization. This module can accomplish complex tasks, like registering several members at once, displaying waivers, processing and breaking up payments across multiple channels, and emailing specially designed receipts, with just the click of a few buttons. Along with these many features comes Instructor Management. This gives instructors the ability to be assigned to activities, self-manage their classes, receive contracts, and contact participants while still limiting their access to secure data. 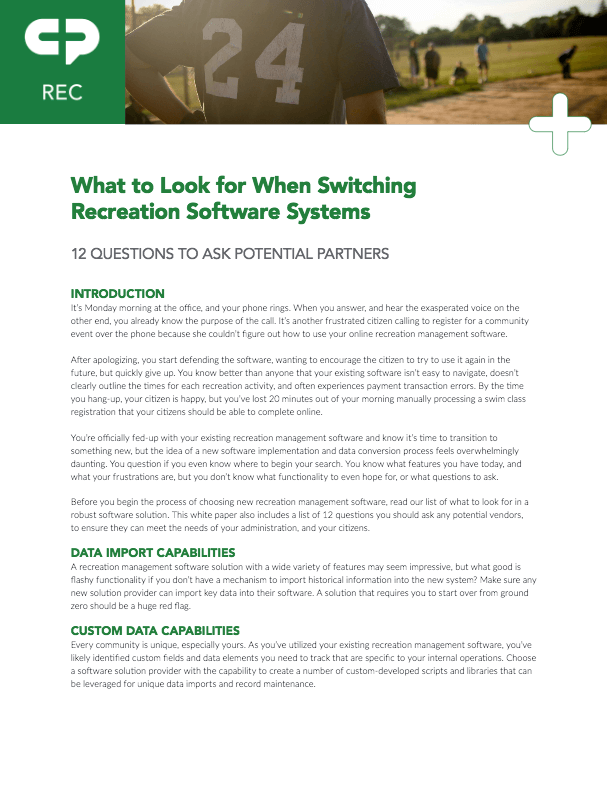 Effective registration software is critical to the success of any parks and recreation organization and the functionality of the many courses that may be offered. Facility management should be straightforward and painless for both staff and citizens, as it is a key component in parks and recreation operations. It should also work together with the activity registration module to provide a simple process to complete facility rentals and reservations. There should be options to set a specific amount of days and times in advance, as well as block off facilities for activities and games, and schedule recurring bookings. There is also an internal calendar for the staff to view current facilities that may be available, adjust or integrate existing reservations, and prevent double-booking. A point-of-sale (POS) system is important to recreation software, because it manages and organizes all transactions. This system allows staff to sell any type of merchandise, prepare registrations, and set manageable pricing. POS systems may even be location-based and paired with cash drawers to make transactions much simpler. With the use of membership management, manually handling complex and customized membership and billing options can be eliminated, saving your organization valuable time and headaches. This gives you the ability to sell and manage memberships, punch or scan cards and fobs, and find member information immediately. Membership management will also equip your organization with an easily managed payment process for internal and external use. Recreation software will allow organizations to manage sports leagues conveniently and efficiently all year long. This aspect will give you the ability to automatically schedule regular season games and tournaments, complete registrations by full team or by individual, keep a record of game results, and share information with the players and parents with an easy-to-navigate website link. Using parks and recreation management software will make your daily, intricate duties seem effortless. This convenient software will combine each of your needs into one platform, while also merging with your community’s brand and allowing customization. If you are ready to invest in a recreation management solution that can help power your community activity management workflows, click below to learn what to look for when choosing a recreation management solution for your community. 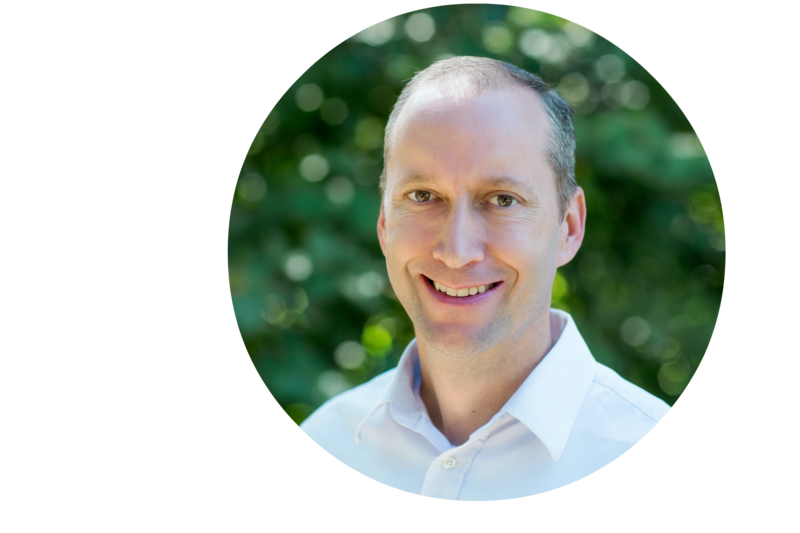 Landon holds a BBA in Management Information Systems and has over 20 years of software development experience, including developing the CivicRec software from the ground up. As the general manager of CivicRec from 2016 to 2019, Landon led the product's strategy and overall vision.